I still can’t believe it!!! Me in a magazine!!! 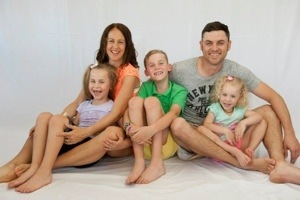 Who would have ever thought when I started writing my blog two and a half years ago, I’d feature in a magazine along with my beautiful family, all thanks to this little website I created -‘My Party of 5’! Everything I stand for and my blog stands for, is represented from being in this magazine feature and it makes me very proud to be sharing it with the people (you) who have supported me by reading my blog posts! 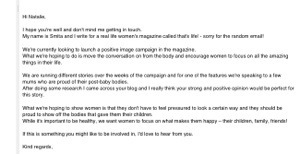 Last month I received an email asking if I would be interested in being apart of a campaign that That’s Life magazine was running. Two things came to mind straightaway….1. How bizarre – that was nana’s favourite magazine and 2. surely this is some sort of gee up!! Well it turns out it was no gee up and it makes me even more chuffed that my first (and probably only) magazine appearance is in the magazine my dear nana loved to enjoy every week for many many years! I expected the article would require a photo that I sent in along with a few lines by myself, but it’s been so much more than that! I still remember the phone call that was made to me asking when I would be available for a photo shoot!!! My excitement was controlled during the conversation, but once I hung up the phone my little OCD brain became over stimulated with thoughts about, clothes, hair, jewellery!!!! The photo shoot went really well. The kids were so excited that they were going to be in a magazine and we had the best photographer who worked so hard to get some great shots! 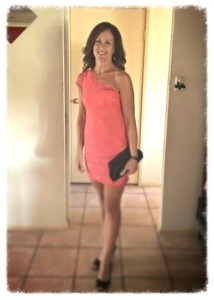 After 5 outfit changes and two hours of posing and smiling I was exhausted lol – it really isn’t as easy as it looks lol! 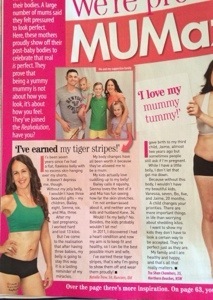 The blog post that was discovered by That’s Life, which prompted them to contact me, was the one I wrote about how I’ve ‘earnt my tiger stripes’! It was agreed by That’s Life and myself to include a section of that blog to accompany my photos! From that final phone call that basically sealed the deal, it would be two weeks until the article came out in the 43rd edition of That’s Life magazine! What a long two weeks to wait. 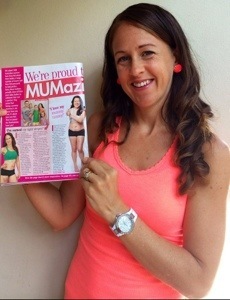 I was excited and slightly nervous as to how the article would feature as it bared the part of my body that I never show – my belly!! The suspense was killing me yesterday. I was hoping I’d find a newsagency that got their shipment of copies in early so I could buy it late yesterday. No such luck lol, but thankfully Kenny our newsagent man had his ready and waiting at 6.30am this morning. As the kids and I turned each page of the magazine we waited in anticipation. My heart was beating faster than normal and then there, right before our eyes was me (OMG) and me and my family (OMG) – we were really in a magazine!!! I’m so happy with the article – I’ve had a smile on my face all day – even when the car broke down, nothing was taking me down today lol!!! I feel so privileged to be apart of an amazing campaign that That’s Life magazine has put together. I’m a huge advocate for women feeling good about themselves. Society puts so much pressure on women now to look a certain way, but if we all had a good hard look at ourselves, we are fabulous just the way we are! 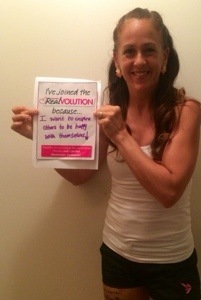 The ‘realvolution’ campaign is so inspiring which is why I agreed to be apart of such a campaign, in the hope that I inspire other women to feel good about themselves! Being happy with yourself is not about having the perfect body, it’s about being happy in your own skin with the ‘real’ you – that is perfect! I encourage all my women followers to jump on the ‘realvolution’ bandwagon and shout to the world why you are awesome! What’s perfectly real about you? Find a photo of yourself that depicts this and celebrate ‘real is perfect’! And don’t forget to grab yourself a copy of this week’s That’s Life edition, as you could be in the running to win numerous amounts of awesome prizes! Never in a million years did I ever think my blog would lead me to this day. I’m so glad I decided to write a blog. Not only does it help me to debrief with myself, if each blog teaches or inspires just one person at a time, then my job is being served! Thank you to everyone who has helped me to get to this point, because without people reading what I write, it would just be a personal diary of my thoughts…My Party of 5 is so much more than that….who knows where it could take me from here! This one’s for you nana xoxoxo!